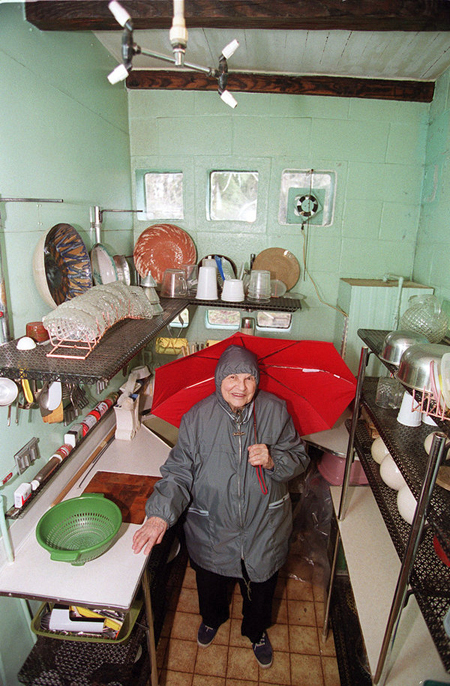 Frances Gabe, inventor of the self-cleaning house, died at 101 on December 26, 2016. Other than a brief mention in her hometown Oregon newspaper The Newberg Graphic, Gabe’s passing went without national notice. Then in mid-July 2017—some seven months later—the New York Times ran an obituary and, suddenly, Gabe’s story was everywhere. I knew about the self-cleaning house because it’s one of the examples we reference in Spark!Lab with our Now What? game. The game challenges visitors to think about solving problems using limited resources. For example, you might spin the “Now” spinner on the game and be presented with the challenge “A puppy suddenly appears. You want to catch him but you only have…” A spin of the “What” wheel tells you that you have five cardboard tubes to solve the problem. Now what? How can you use those tubes to remove the puppy from your room? 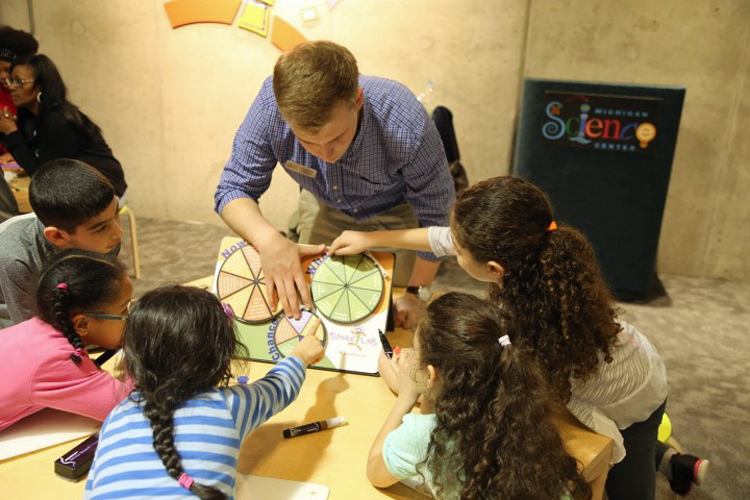 Visitors think creatively, either by themselves or in a group, and are encouraged to share and sketch their invention ideas. To provide real world context for the Now What? game, we profile several inventors who have solved different kinds of challenges. We show Frank Epperson who invented the popsicle after a drink he left outside overnight froze, and Gauri Nanda who invented Clocky®, an alarm clock that encourages people to get out of bed instead of hitting snooze. 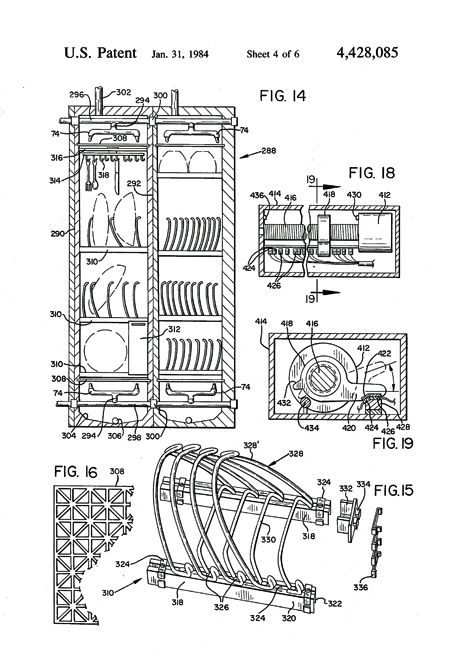 Gabe received a patent in 1984 for a “self-cleaning building construction.” The patent describes the invention as “apparatus for applying a fine spray or mist of water and/or water and detergent to wall, floor and ceiling surfaces, followed by warm air drying. Floors slope in a direction for removing excess moisture via a drain.” Gabe’s patent actually included 68 different devices that made up the self-cleaning house, all of which she designed to save time, energy, and space in her Newberg, Oregon home. Perhaps the best view into Gabe’s home, though, is a 1990 video of the inventor herself walking through it with reporter Carl Click. She describes its different elements and demonstrates how the cleaning devices in her kitchen work (or are supposed to work; there’s a slight malfunction of a pipe fitting, though she easily fixes it). Gabe worked on the self-cleaning house for more than 20 years, continually inventing, sketching, testing, and tweaking its myriad devices. Several years ago, she sold her home and moved into an assisted living facility. 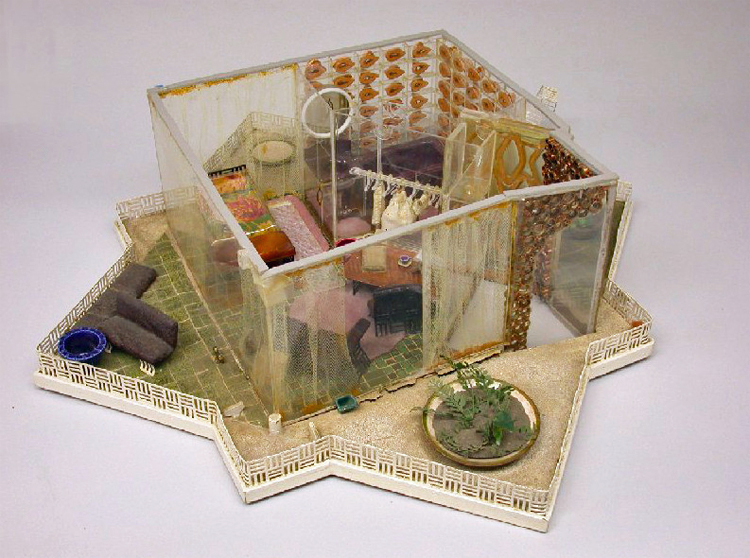 Its new owner removed all of the cleaning devices, though a model that Gabe built of her home still exists and is preserved at the Hagley Museum and Library in Wilmington, Delaware. I’d like to think that a young inventor might see the model and become inspired to pick up where Gabe left off. Not only would it be a wonderful tribute to the inventor, it might also mean that someday I’ll able to turn a knob or flip and switch and—voila!—my house will be clean. A girl can dream, right? * Chuck Palahniuk. Fugitives & Refugees: A Walk in Portland, Oregon. New York: Crown Journeys, 2003: 30. Jennifer Lawrence's silver screen portrayal of inventor Joy Mangano makes the case for the invention process.